The Action Democratic Party (ADP) in Plateau has lauded the conviction of former Gov. Joshua Dariye, saying that the rule of law has finally taken its course. Pictures of Senator Joshua Dariye, former governor of Plateau State, who was convicted and sentenced today June 12, 2018 by Justice Adebukola Banjoko of the FCT High Court, Gudu, Abuja, to 14 years imprisonment for criminal breach of trust and 2 years imprisonment for misappropriation of public funds. 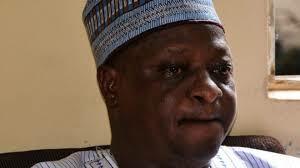 Dariye was sentenced to 14 years in prison by the FCT High Court sitting in Gudu, Abuja had on Tuesday, for misappropriating N1.1billion state’s fund. Mr Danjuma Auta, the Plateau Publicity Secretary of the ADP told the News Agency of Nigeria (NAN) on Tuesday in Jos that Dariye’s conviction was a right step in the right direction for democracy to thrive. “This is not about President Muhammadu Buhari frowning about embezzlement of public fund. “The rule of law has taken its course and we as a political party are fully in support of what will stop the mismanagement of public funds. “Whatever the law will do to bring such people to order, we see it as a welcome development,” he stated. Auta said whoever has been found guilty by law courts of stealing public funds should be made to face the music. Also reacting, Mr Mark Longyen, Senior Special Assistant to Gov. Simon Lalong on media, said the conviction had proven that the Federal Government was committed to fighting corruption across political divide. He said the action would go a long way in disabusing the minds of the opposition parties that government was shielding members of the ruling All Progressives Congress (APC) in its fight against corruption. He, however, said that Dariye is still left with the option of appeal adding:“ Who knows, the verdict might be overturned by the Court of Appeal.’’ According to SSA, the situation if not overturned by the appeal court would lead to new political permutations in Plateau Central Senatorial District. “Dariye is not a small political fish, he is very big one particularly in his central senatorial district,” he added.